08 Feb 2019 --- Seattle Gummy Company (SGC) has added two new flavors to its high caffeine gummy lineup following improved formulations that provide an alternative to energy drinks. 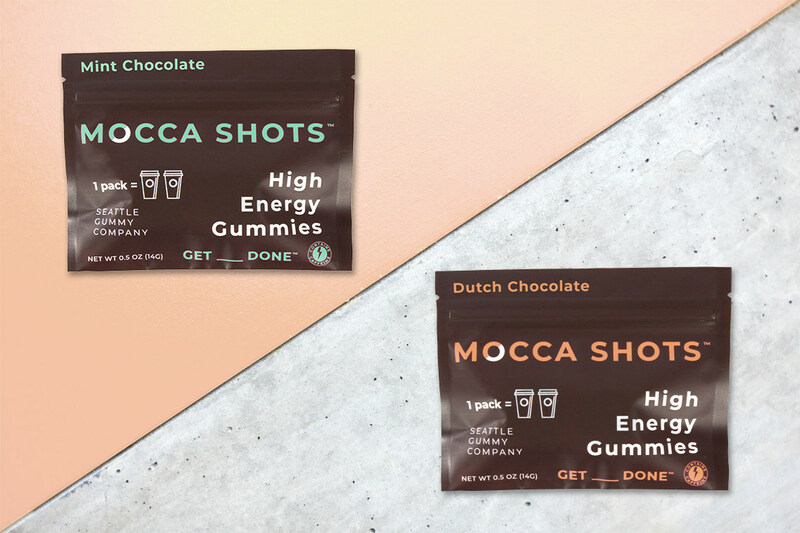 As trends towards coffee flavors continue to gather pace, alongside demand for brain boosting clean label products, the company has expanded its Mocca Shots High Caffeine Gummies to include Dutch chocolate and mint chocolate flavors. SGC scientists researched improvements after testing small batches with focus groups, coming up with new ways to make caffeine taste better. The new flavors are enhanced by a smoother and more balanced chocolate recipe, according to the company, and add to the Mocca Shots two original flavors, Dark Chocolate Orange and Dark Chocolate Raspberry. Click to EnlargeThe expansion of the Mocca Shots portfolio taps into trends around brain-boosting. This year’s Innova Market Insights top ten trends include “I Feel Good” which encapsulates how mental health is as important as physical health. Brands are frequently promoting messages about clear thinking and having the ability to concentrate. Innova Market Insights also tipped “Beyond the Coffeehouse” at the number five trend for 2018. The industry is increasingly using coffee as an ingredient and flavor outside of the hot drinks category with coffee subcategories across a wide variety of products. Mocca Shots contain the highest concentration of caffeine available and the company claims they work five times faster than energy drinks. This is because caffeine in the gummy gets absorbed through mouth mucosa and directly into the bloodstream in less than five minutes. “If you want energy fast, Mocca Shots are a much better choice than energy drinks,” says CEO, Dr. Connie Wan. “We knew we could create a product with natural ingredients that not only tastes better but is also more effective at helping people focus without the jittery side-effects normally associated with caffeine.” The addition of the new flavors gives consumers more variety for that quick boost of energy. Health & Wellness Caffiene Coffee Gummies High Energy Brain-Boosting Innova Market Insights Energy Drinks Seattle Gummy Company Mocca Shots Chocolate Mint.